Incidentally, Shawn and Paul both thought Ferbey’s call was crazy, kind of like throwing your second last rock away in the final end. Thanks again to Paul and his family for hosting a great lobster dinner mid-week. Also thanks to CurlTV for allowing me to blabber semi-coherently over the web. After 10 days of being immersed in the Brier, should be no surprise it’s taken me over a week of decompression to get back to my thoughts on what transpired…. Is it better to have loved and lost than to have never loved at all? Is it better to have been to 9, yes, that’s right, 9 Brier finals, even if you only win 3? Would you rather go home early or finish 19-3 in an effort to wear the Maple Leaf in 2010, only to come up empty because two of those losses were final games? Of course, 3 Brier wins is solace only for Glenn Howard after what must feel a disappointing year. This squad of Glenn, Rich, Brent and Craig has one Brier and World Championship win in 2007. They have been one of the two or three best teams on the planet for the last 5 years, and this year came ever so close not once, but twice, of challenging the rest of the world one more time. I hope they will be back. The week was disappointing at first, both the attendance and the play was below our expectations. Into the middle of the week, high hopes for colossal clashes between the Big 4 came up short, with no dramatic last shot finishes and, with the exception of perhaps a few ends here and there, average shot-making and little excitement. Then, Thursday came along and we were treated to a Northern Ontario team that showed us all they were for real with a morning draw victory over Gushue. Manitoba then won a nail-biter in the afternoon against the surprising rookies from Quebec, keeping their hopes alive. In the end, Stoughton could only hope for a Gushue miscue in the evening draw to qualify for a tie-breaker. No mistake by Newfoundland and the Buffalo continues its Brier drought, worst in history (11 years). It was, however, the Thursday night game between Ontario and Alberta that foreshadowed what the weekend might have in store. We were fortunate to cover the game on CurlTV and it was clear to me that night that these were the two teams who belonged in the final. When Alberta lost in the last end, on a final draw to the four by Howard, it didn’t seem fitting they would head to a 3-4 game, after beating all the top teams and giving Ontario its toughest test of the week. The play-off games were, with the exception of the Saturday night semi-final, fantastic. As disappointing as this Brier was early on, we were treated to one of the best weekends at a Brier since moving to a play-off format in 1980. The final is already being mentioned with Dacey-Ferbey (2004) and Hackner-Ryan (1985) as perhaps the best ever since the inaugural Labatt’s sponsored event some 30 years ago. Certainly there are others which have been memorable: Stoughton-Martin in 1996 and Martin-Peters in 1997 come to mind, and though I don’t remember it all (I was 9 when it happened), I’d expect Burtnyk-Hackner in ’81 (in Halifax) is not easily forgotten. The BC team impressed early in the week. Jeff Richard had won extra end victories in the provincial semi and final to get out of BC and then took Manitoba to an extra and Glenn Howard to last rock. If not for two half shots by Jeff, Ontario could have had an early loss instead of sweeping the round robin. Quebec was also an early surprise; Brier rookies just like their opposing skip. This game was a turning point for both and some interesting decisions during the End game (final 3 ends) could have influenced the outcome. 9th End: BC is down 6-5 with hammer. Third’s first shot and they sit one and have a centre guard. Time out, as Jeff’s first inclination is to peel. His thinking is he’d rather blank than score two. If you’ve read my blog before you know two is better than a blank, roughly 60% Winning Probability (WP) for the team 1 up without hammer. However, if BC is held to one at the risk of trying to score two, that is not a desired outcome. The team discusses their chance at 3, assuming Quebec will hit the open rock if they play a come around. More on that in a second. Essential question for BC is: Do we try for 3, maybe get 2, but risk being held to 1? If they do blank, BC’s WP = .40. Let’s suggest they get one 40% of the time, get 2 50% and get 3 only 10%. Quebec instead elects to try a guard and, leaving the shot stone partially open, surrenders a deuce. I don’t mind the call in some cases, a force is great (.75) but a steal is also fantastic (.88). Two things would lead me to not try the guard here however. The rock was only biting top four foot and, given the draw weight we’d seen from Jeff, I’d expect he makes that draw 80% of the time, if not more, so you are going to likely surrender one anyway. The significant amount of curl, especially around the centre line, made throwing the “perfect” guard somewhat difficult. Also, if it was too long, the large swing would allow Jeff to get a piece of it and possibly score two, even if only a sliver was open. BC gets the deuce they didn’t want. In the 10th End, BC attempts a guard on Jeff’s last and, as with Serge’s in the 9th, it’s not placed where they want it and a draw for 2 gives Quebec the win. Both teams were 2-2 at this stage and afterwards BC dropped two more fall to 2-5 and Quebec went to 5-2 and kept them in contention until Thursday. He elects to have third Mark Nichols play a draw around the corner guard and sit third shot. This is an interesting call. I’m not certain what Brad’s thought process is here. Worse case scenario, the 5th end break took too long and Brad forgot he doesn’t have hammer. More likely, he is expecting NO to hit the open rocks, allowing NL to hit and stay and eventually force a single. NL could have hit the open yellow, though would be difficult to stay. They could have chosen to hit their own and drive it on to the NO rock, though both NL rocks likely spin to the back tee behind the corner. They also could have played a tight centre guard, even into the rings. Peeling the corner may appear conservative, but it is another choice in this scenario. Not an easy decision here and an indication of how dangerous corner guards can be when you do not have last rock and are unable to plug up the centre and force play into the four foot. The draw stays half open, NO hits and rolls into the two rocks in the four foot, now sitting second and third. Brad chooses a freeze to the two rocks in the four foot. Now we are really wondering if he knows he doesn’t have hammer. Mark actually makes a perfect shot. Brad then also makes a good shot. Jacobs makes a thin double and rolls out with his first, Brad is left with a difficult hit. He elects to play it soft and leaves a draw for three to NO where a bigger weight hit may have removed both NO rocks. It appeared as they were starting thirds rocks, play was already in favour of NO, having no center guards and a corner. I like NL playing the end for a blank and not trying to create a force in a difficult situation. A strange end that I’m certain Brad will want to review and analyze if it could have been played differently to avoid giving up the big end. Scenario in the 7th End which occurred again in the 7th end of the final, though the hammer was reversed. Howard is up 5-4 without hammer. Ontario lead Craig Savil puts his first rock in the rings and Alberta, rather than placing a corner guard, hits and stays in an attempt to play the end out as a blank. Blank is successful and Koe goes to the 8th end one down with hammer. What was interesting is Ontario at this point was 4-5 minutes behind Alberta and by Koe playing the end this way it allowed Howard to bank time for the later ends. It also sounded as though Koe and third Blake MacDonald were concerned about their time and felt the quick blank would be helpful to them. I think it would have done more harm to their opponent, but the thinking also prevails that a blank here gives AB hammer in the 8th and 10th ends (assuming no steals or further blank ends). In the final, Howard chooses the same tactic. AB gets a 3 to go up 4-3 in the 6th end and places lead Nolan Thiessen’s first rock in the rings. Ontario hits and the blank is on once again. What does the math say about this strategy? Most likely outcomes if we chose to play aggressive with hammer instead of playing the blank: take 1, take 2 or a steal. Astute readers will notice that a steal is bad in both cases; our opponent is in Dominant position. The opposite is true if we take 3 and go 2 up, in either the 7th or 8th end. An advantage is gained by scoring a deuce in the 8th versus the 7th end (2.4%), however a 3% drop if we are held to a single point. Given that the numbers don’t appear to warrant this call, why do it? The thinking is, 3 ends leave me “two hammers to one” and I will likely have hammer in the last end. The result is you can limit the number of times your dangerous opponent will have hammer and give yourself the last shot at the end of regulation. This theory is supported by the confidence and the importance skips place on the hammer, especially towards the end of the game. Intuitively this thinking makes sense, but is not yet supported by statistical analysis. Further work is needed to examine this area if we are to defend what appears to be logical thinking, but currently is not supported by the numbers. What about the decision by the team without hammer to throw the rock into the rings? If you know your opponent is going to blank, why let them? If you support the “two hammers to one” argument, then you should place a centre guard without last rock. By not doing so you are supporting your opponent’s strategy and giving them a perceived advantage. Though it should be noted, the stats don’t indicate any real advantage. So what do I think? It is an interesting decision which is not likely a mistake either way. Kevin elects to try a run back on the tight Ontario guard in the top twelve foot. Nearly makes it but leaves Howard sitting one. An alternative play was a difficult hit and roll through the tight port that Glenn had just come through with his first shot. The second option could leave them sitting two but leaves the Ontario rock in front and a miss could be disastrous. Kevin’s thinking is logical, and he does open up the in-turn side of the house. Ontario attempts to draw around to the button and rubs second shot belonging to Alberta. Fortunate for Glenn that they miss the sweeping, get a rub, but the shot sits in a perfect spot and Kevin has virtually no shot to score. An example of how curling can surprise you. The shot played by AB to open things up was intended to ensure Kevin would have a shot; ironically Glenn misses and still leaves Koe nothing. Stat note: During the 1-2 game between Ontario and Northern Ontario, Linda mentions the team scoring a deuce in the first end wins 70% of the time. I believe these were numbers taken from the last 10 Briers. Our stats, which incorporate a much larger sample size indicate WP = 73% for men and WP = 72% for women’s teams in this position. All of this and I haven’t even gotten to the weekend games yet! Page Play-off analysis will have to wait for another time. Congratulations again to Team Koe and good luck in Italy at the Worlds. 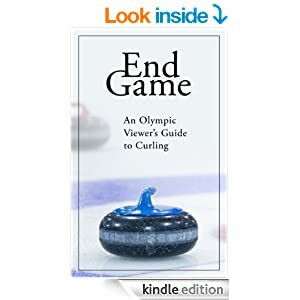 We’ve been overloaded with curling these past weeks with the Scotties, Provincial Mens, and the Olympics all taking place since my last major article. I’m going to attempt some analysis of various situations that have taken place over these many games, and try to provide some preview for this weeks Tim Horton’s Brier in Halifax where yours truly will be sitting in for Luke Coley in the CurlTV broadcast booth. Luke had commitments with both the Olympics and now the Paralympic Games, and someone at CurlTV was crazy enough to give me the online microphone for the entire Brier. My apologies in advance. When they make the run-back, let’s assume they are able to score a deuce ¾ of the time and score 3 the remaining 25%. Let’s also assume if Krista attempts to draw for one she misses 10% of the time. Krista needs to be confident she will make a multiple score well over 1/3 of the time for this to be the correct call. If I draw I’m between 44 and 55%, say 52%. When I make the run-back, I usually score 2 with is 70% but sometimes score 3 which is 84%, lets, say 74%. If I make a run back 1/3 the time then my winning percentage is approx. 30% + 25% = 55%. It's not exact but does provide simple way to make these decisions in real time during a game, even the skip isn't a math professor or poker player. Ultimately, they decide on the run back and Krista executes a spectacular shot, scoring 3 and cruises ahead to victory. Numbers indicate this is not a bad decision, either scenario is close. ...you may recall that Kevin Martin intentionally took one in the same scenario against Kevin Koe in the 2007 Alberta Provincial Final. That article is several years old and more recent statistics still hold true. I only hope the scorekeeper didn’t deduct too many points from Murdoch’s “miss” on his blank attempt. This is another example of how shooting percentages never tell the whole story. Firstly, a fantastic showing by Team Bernard all week. They represented Canada well and played their hearts out. It was afinal game that could have gone to either team. The focus in days since has been discussion on missed shots, but it should be remembered for some of the great shots made throughout the game as well as the entire week. For example, in the 2nd end, Bernard makes a nice corner freeze on her first when Sweden had them under pressure. In the 5th, Cheryl makes a great shot to freeze on top of the Sweden stone and nearly gets shot. Norberg then makes a great draw to the button for two. In the 6th, Cheryl makes a great draw on her first, Norberg then makes a spectacular run back and sits shot buried on top of the button. Cheryl then calmly makes the soft hit for a single. In the 7th, Cheryl makes a great shot to sit two behind the centre guard and, after Norberg misses, is able to steal a huge two points and make the game close. 4th end Bernard chooses to hit the Sweden rock in the four foot and play her corner guard on leads second rock, allowing the opponent to attempt a peel with second’s first rock. The peel is missed (nose hit). I don’t mind the strategy during the early game, encouraging Sweden to not play a centre guard. This is a strategy that would be very questionable in the Mens game but has some validity in the Womens where the chance of a missed peel is higher. 7th End. On Norberg’s last rock, she chose to draw tap Bernard’s shot rock sitting half open in the back button. I like the call, but she made a bad miss by not at least having tee-line weight to at least cut down Canada to a single. It is more advantageous to be one up without hammer than tied with hammer when two ends remain. Cheryl’s WP = 61.5% tied with hammer and 62.5% if one up without hammer, starting the 9th end. This situation does not occur in the Mens game. Some of you might suggest these numbers are very close and 1% is not a significant advantage. That is partially true, but what it does indicate is Canada does not have to take risks in this end in order to force a single by Sweden. Why risk your opponent possibly scoring two or three when it is unnecessary? Better to keep the play simple and ensure Norberg is held to either a single or a blank. So should Cheryl simply throw her last stone away, allowing Norberg to blank? It’s not inconceivable, though it would have appeared very strange to most observers. Depending on ice conditions and other factors, if she had made that call I would not have been too critical and would possibly applaud her. However, it is still advantageous to put pressure on your opponent, rather than concede the blank. As we saw, this did provide a critical steal at that stage in the game. What about Norberg? On third’s first she chooses to hit the Canada stone just biting at the side of the rings, rather than play aggressively for a deuce. She could prefer to play for her deuce, knowing that if she’s held to a single her WP doesn’t change (in fact it goes up!). However, the risk of a possible steal needs to be evaluated. I’d prefer a draw here but likely Norberg is not aware of the numbers and wants to avoid being held to a single. Nothing really to say here. Job well done by Team Canada and a well deserved victory. The semi-final appeared to have more tension early on but no real fear of an upset against Kevin Martin. Kevin has reached the pinnacle of his curling career and it will be interesting to see where he goes from here. He is still young (for a curler) and he’s always been committed to the game as a career, unlike most of his contemporaries, so would be surprising if he slows down at all. The Olympic Trial teams had built up a considerable record against each other over the previous years. The Brier does not provide us the same statistical detail in order to analyze probability of outcomes. What do we have? • Gushue is 3-3 in last 6 versus Stoughton, but 0-3 in last 3. Gushue did win a significant game in Halifax against Stoughton in 2006, if you remember the 2006 Olympic Trials. • Gushue is 2-4 against Howard since 08-09 season, including a big semi-final win at the Swiss Chalet National this past January. • Stoughton is 2-7 in last 9 against Howard. One of those was a victory in the 2009 Brier semi-final. • Koe’s lone victory over Howard was the 2007 Players Championship. Since then Glenn has won 4 in a row, all but one were close games including an extra end win in the Olympic Trials. • Stoughton has won 4 in a row over Koe. Koe had won 3 in a row prior to that. Prior to that, 3 in a row for Stoughton, and prior to that 4 in a row for Koe! I see these four teams a very close throughout the week. Gushue’s disappointment at the Pre-Trials is either forgotten or is motivating them to an impressive season, including a a Grand Slam win only 2 months ago. Is it perhaps their time? Stoughton has looked very strong all year and is looking for redemption after their defeat to Howard in the Trials semi-final. Manitoba hasn’t won since 1999, and Alberta is catching up with 24 Brier wins, trailing the Buffaloes by only 2. Perhaps a transplanted Albertan, Kevin Park, will increase that margin to 3? I expect after seeing Martin win gold, he’d like nothing better than to return to the World stage where playing third for K-Mart he lost the final 19 years ago in Winnipeg. Alberta’s Kevin Koe is poised and ready. They certainly know they can beat anyone here and are likely feeling as if it is their time. Third Blake MacDonald and Carter Rycroft are returning to the Brier, but Kevin himself is a rookie skip. The atmosphere in Edmonton during the Trials would have prepared them for this event so I don’t expect to see any nerves in front of the Halifax crowd this week. Finally, Glenn Howard. Team Howard must have had mixed feelings watching Martin’s team stroll into the Brier opening banquet last night to a round of applause. Kevin gave a nice speech, but I wonder if Ontario was listening? The loss in the finals of the Olympic Trials surely still lingers, but this week provides a chance at redemption. This is also a team that likely should have had two Brier wins, after the upset in 2006 and a victory here will put them in the same conversation with Ferbey and Martin as top Brier teams of the decade. Unless of course 2010 is part of the next decade, in which case they will have a head start on the next ten years. Predictions? Only that it’s unlikely anyone other than these top four teams gets a direct spot in the play-offs. New Brunswick and Saskatchewan are possible surprises, and could sneak into a tie-breaker. The rest is unknown. The Brier is where names are made and possibly there are a few to be made here this week. But in the end, one of these four will take the Macdonald Brier Tankard.